Jenkins Hill is a prominent hill on Barnicoat Range, rising to 776 m elevation. The summit can be reached from Marsden Valley via Jenkins Hill 4WD Road, which runs along the top of the range. Jenkins Hill forms the southern boundary of the Brook-Waimarama Sanctuary. The pest-proof fence that protects the sanctuary provides an access corridor between Marsden Valley, Brook Valley and Dun Mountain Trail. Jenkins Hill is named after Alfred George Jenkins, who opened a coal mine called Enner Glynn at the base of the hill in 1858. Jenkins Hill is most easily accessed from Marsden Valley. All Barnicoat Range and Marsden Valley tracks begin at the end of Marsden Valley Road, which is only a 5 min drive from Stoke. At the end of Marsden Valley Road there is a small car park on the right, just before the quarry. Here you will find an informational panel with a map and details on trail times and distances. There is also plenty of room to park alongside the road. 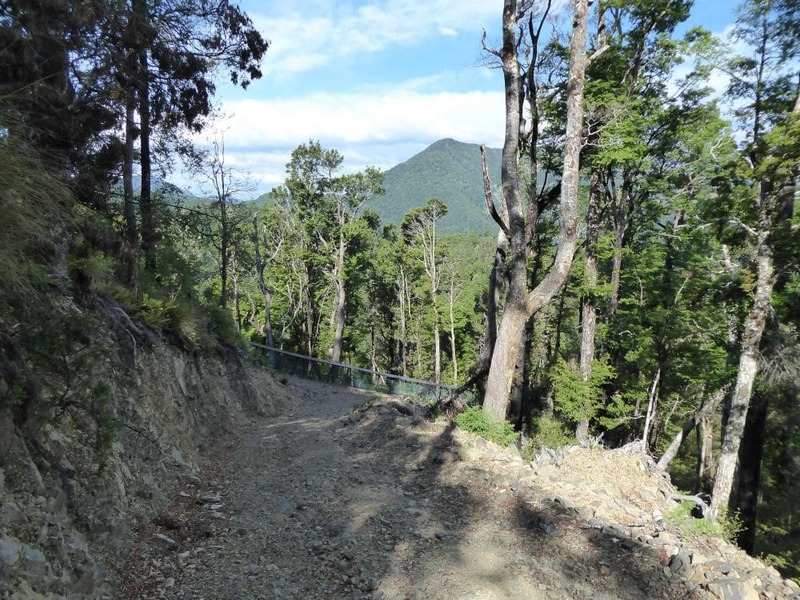 There are four different ways to climb to the top of Barnicoat Range from Marsden Valley, in order to connect to Jenkins Hill Road; Glider Road, Barnicoat Walkway, Scout Track and Involution. All four of these options can be used if you’re on foot, though if you’re biking you will have to use Glider Road or Involution. The most direct route is Scout Track, while Involution is the most enjoyable. Jenkins Hill is ideal for combining as part of a longer route, such as Marsden Valley to Maitai Dam via Dun Mountain Trail. Cross the bridge at the road end, next to the quarry entrance. Instead of turning right to follow Glider Road, continue straight along the gravel road up the valley. You’ll reach the bottom end of Involution after 700 m.
Involution climbs through a series of sweeping zig-zags up the northern side of the valley, climbing 250 m vertical metres. The track heads in and out of two gullies each with a small stream, and then climbs around to the head of the valley, where it winds the remainder of the 2 km to the top of Barnicoat Range. Be cautious of MTBs that may be descending downhill at speed. Involution connects with Jenkins Hill Road at the top of the range, at 715 m elevation. Turn left here and continue along the 4WD road, which continues northeast along the broad range, through attractive beech forest. You’ll reach a gate after a few hundred metres. The road follows the topography of the range, going through a series of undulations, with short, steep climbs. One of these climbs is particularly steep and rocky, and may require you to walk your bike. You will notice that large patches of the beech forest are still regenerating from a strong wind event in 2008 that brought a significant number of trees down. 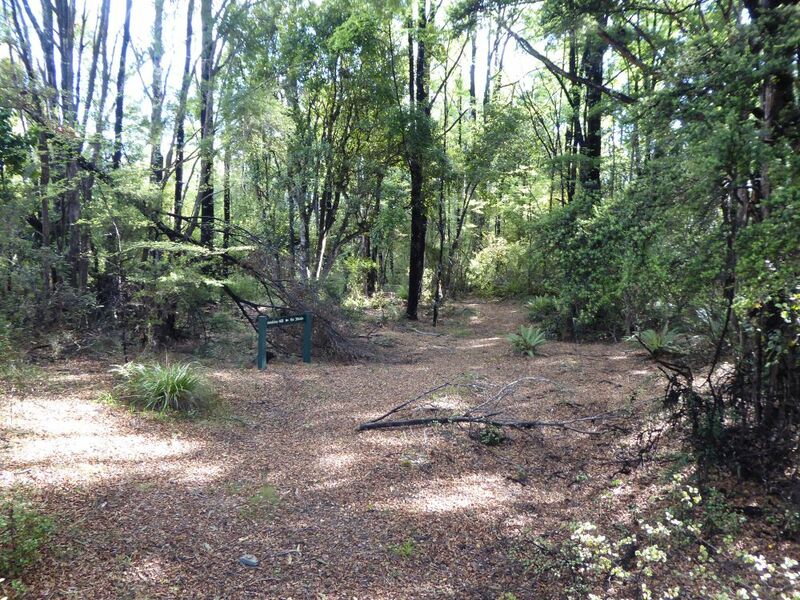 You will reach a three-way junction at 830 m elevation as Jenkins Hill Road meets the 4WD track that runs alongside the Brook-Waimarama Sanctuary fence. This is not the official summit of Jenkins Hill; the latter lies 600 m to the northwest, about 55 m lower. Return the way you came (or via one of the other three tracks that descend to Marsden Valley) or continue along the sanctuary fence line (described in next tab). Jenkins Hill is a prominent hill on Barnicoat Range, rising to 776 m elevation. The summit can be reached from Marsden Valley via Jenkins Hill Road, which runs along the top of the range. Jenkins Hill forms the southern boundary of the Brook-Waimarama Sanctuary. 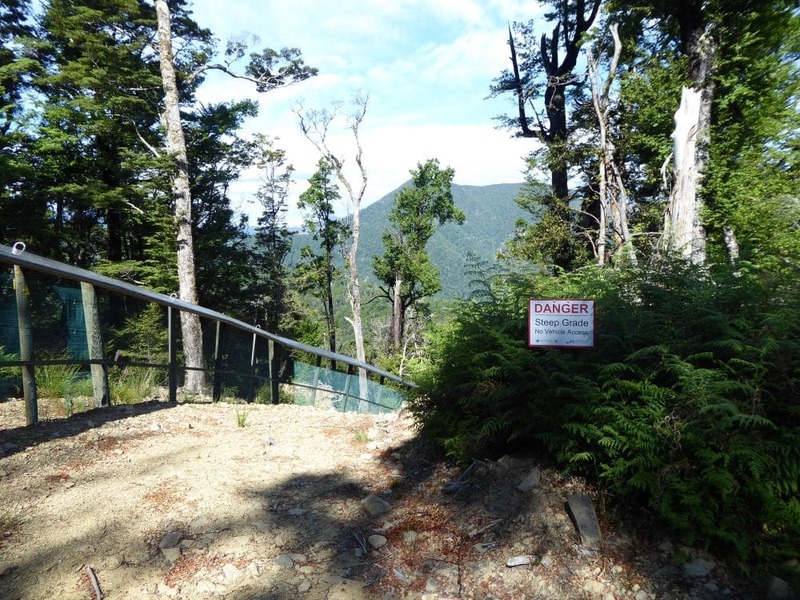 The pest-proof fence that protects the sanctuary provides an access corridor between Marsden Valley, Brook Valley and Dun Mountain Trail. Jenkins Hill is named after Alfred George Jenkins, who opened a coal mine called Enner Glynn at the base of the hill in 1858. Jenkins Hill is a prominent hill on Barnicoat Range, rising to 776 m elevation. The ridges lines extending north east from the summit form the southern boundary of the Brook-Waimarama Sanctuary. 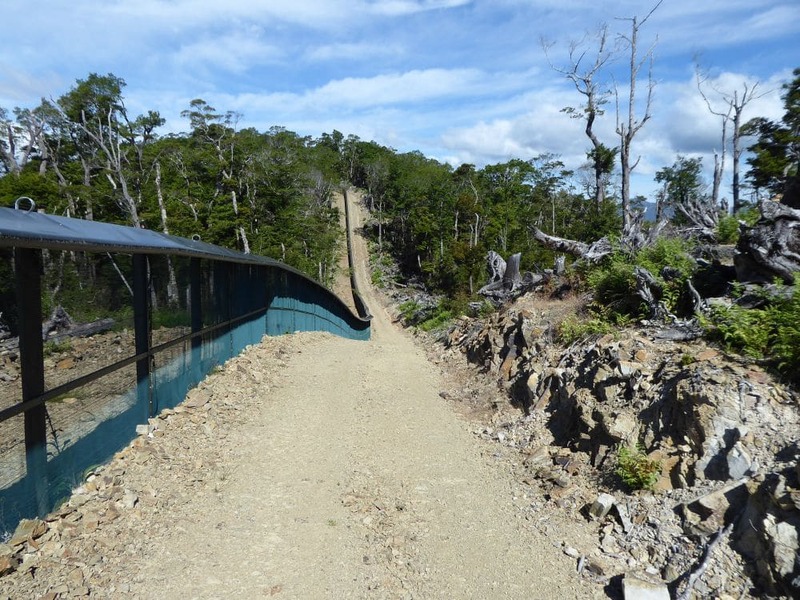 The pest-proof fence that protects the sanctuary was completed in 2016, and the associated 4WD track provides an access corridor between Marsden Valley, Brook Valley and Dun Mountain Trail. At the summit there is a three-way track junction. 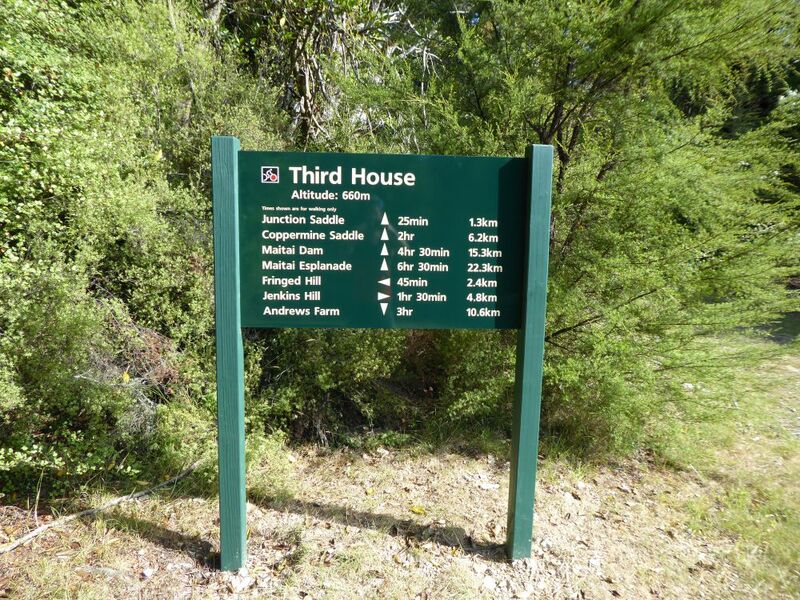 Here you have the option to head right, to Third House and Dun Mountain Trail, or left, straight down to Brook Valley. The Brook-Waimarama Sanctuary fence line follows the crest of the ridge that delineates The Brook catchment. Prior to the development of the sanctuary, a tramping track traversed the ridge between Jenkins Hill and Third House. 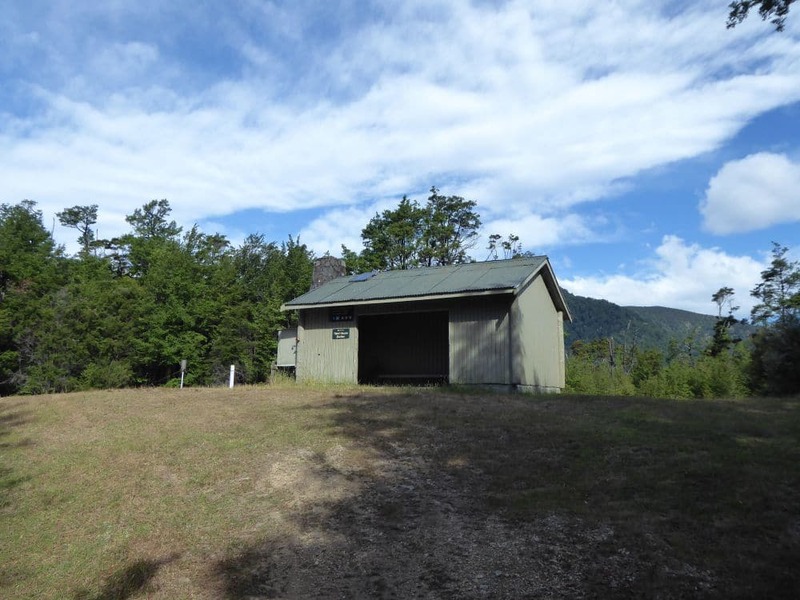 The fence necessitated the construction of a 4WD track, which has replaced the original track; as a result, the much-smoother trcak has reduced the time to Third House by 15-30 min. From the junction, the track climbs to the high point at 873 m elevation, with tall hard beech trees on either side of the road and fence. Though overall descending, the ridge is undulating, and allows good views towards Wooded Peak. There are two particularly steep sections, each with signs that warn about the steep gradient. They’re not exaggerating; as the fence line follows the exact topography of the crest of the ridge, so too does the track, and consequently it is dangerously steep. In these sections another track deviates from the fence to descend at a lesser gradient, and you would be wise to follow it. A side track heads right from the fence and leads to the clearing where Third House stands. Dun Mountain Trail provides access from here; head left to descend to Brook Valley and Tantragee car park (10.6 km away), or head right toward Junction Saddle, where you can access Black Diamond Ridge and Sunrise Ridge. Head left from the junction. The track drops down relatively gently to start with, but the gradient soon steepens as the spur turns northwest and drops down to Brook Valley. The views ahead are great, with the Tahuna Hills and Tasman Bay seemingly a very long way below you. Be aware that the track surface is quite smooth, with the thin layer of gravel on top providing little grip. About 1.5 km from the track junction you’ll reach the steepest part of the spur, where the elevation drops 100 vertical metres in only 250 m horizontally (40% gradient). This is extremely steep, and you will have to be very careful as you make your way down. If you’re on your bike you will definitely have to dismount. You may find it easier to stick to the rougher drainage channels on the edges of the track. Below this steep section the spur levels out for a short distance, before continuing to descend, albeit at a lesser gradient. The track reaches the Brook Valley floor at the historic Brook Reservoir, right next to the Brook-Waimarama Sanctuary visitor centre. Jenkins Hill is a prominent hill on Barnicoat Range, rising to 776 m elevation. The ridges lines extending north east from the summit form the southern boundary of the Brook-Waimarama Sanctuary. 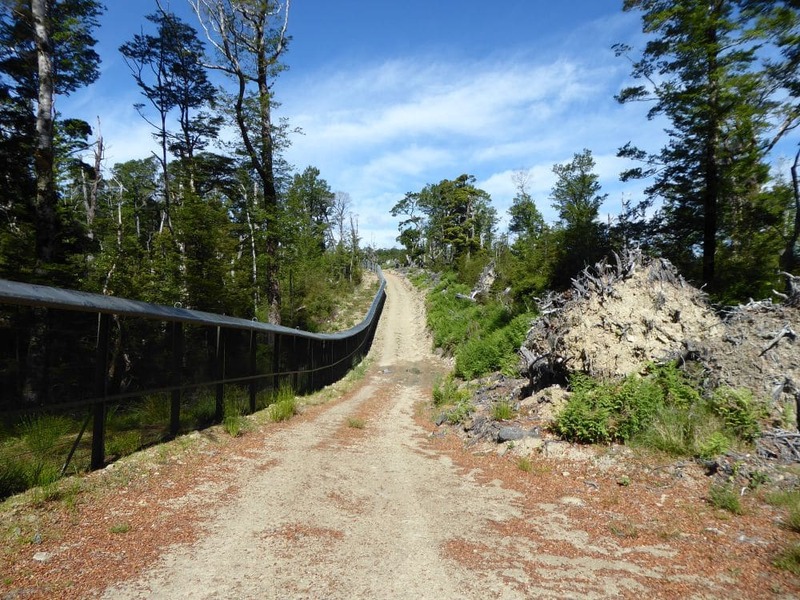 The pest-proof fence that protects the sanctuary was completed in 2016, and the associated access road provides an access corridor between Marsden Valley, Brook Valley and Dun Mountain Trail.